A: Yes all our work is un-conditionally guaranteed. We are not happy unless you are. Q: How often should I sweep my lot? A: Most retail plazas and supermarkets need sweeping 3-5 times per week depending on the amount of customer traffic and tenant make up, other lots vary accordingly. Q: How can I trust that you will show up and do the job right? A: We have almost 30 years in business, are trucks are equipped with live GPS recorders and are serving many of the same customers we started with back in 1985. We think that speaks for itself. Q: What does parking lot sweeping cost? A: Our sweeping packages start as low as $50 before we do any work you will receive a written estimate from which YOU can customize both your service level and price point. Q: How long do new lines last after painting? A: Good question. It has to do with traffic volumes on your lot, if you sand in winter and the severity of the winter. Normally in New England you can expect up to 3 years based on your particular site conditions. Q: How long will my lot be unavailable to my customers? A: We work around your schedule not ours to minimize disruptions. Also we use fast dry highway paints that dry within 15 minutes, and then it is safe to drive on your lot. Q: Which paint color do you recommend, Yellow or white? A: It’s really personnel preference because the new high pigment traffic paints provide the same amount of fade resistance regardless of color. The yellow may fade a little quicker. Q: How many Handicapped spaces do I need? A: Every lot needs at least 1 handicapped van space to be legal. Any additional spaces required depend on lot size and number of spaces. Algonquin can help you comply with all ADA requirements. Q: Do you have a minimum charge for painting small lots? A: Our base charge is $ 375.00 which includes painting up to 30 spaces 2 handicapped spaces and minimal graphics. 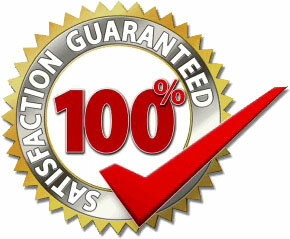 Again we provide an exact printed estimate in advance for your approval before we begin any work . Q: What type of insurance do you have?